35 year old Erin Rhoades has done a little bit of everything. From days spent in traditional sports like softball, soccer and basketball to fitness-related pursuits like CrossFit, Pilates, kettlebells, powerlifting and bodybuilding. 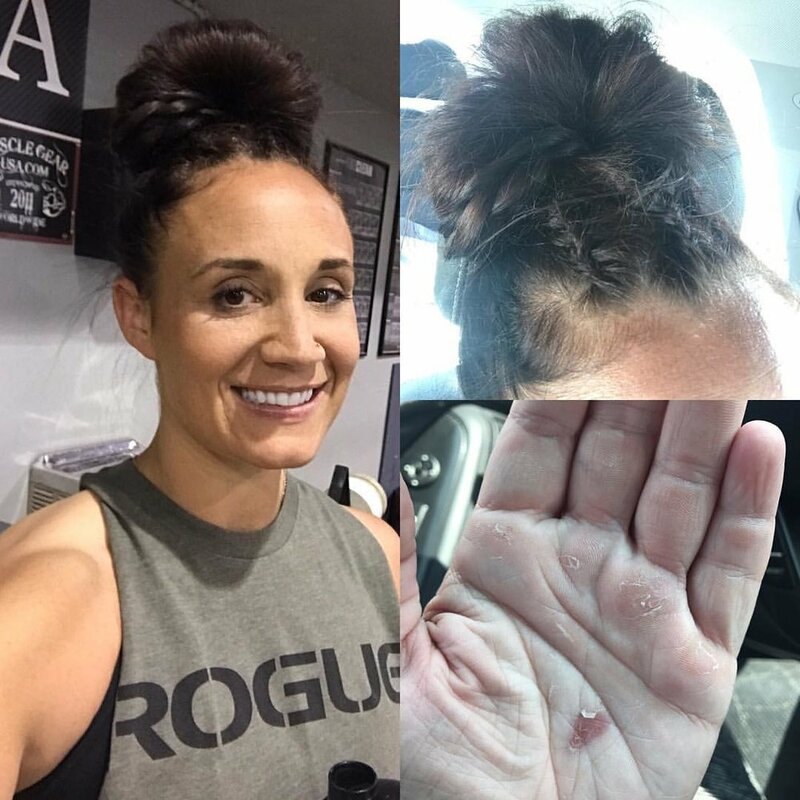 Erin’s point is well taken, and it’s one she continues to live out, even though most of her focus at the moment is on CrossFit. To look at Erin today and listen to her well-rounded message, you’d never guess that she arrived at this place of balance through a hard-fought battle...against herself. Erin found bodybuilding at age 25, but became focused on achieving a certain “look”, and began an under-eating and over-exercising cycle that created a lot of damage. Erin finally hit bottom, and heard some hard truths from her doctor. The initial recovery from that state took three years and included hormone replacement therapy, thyroid medication, and regular, adequate rest and nutrition. That phase took Erin up 90 lbs, and allowed her body to heal. When she decided to attempt to lose some of that weight, she knew it had to be in a healthy manner, so Erin researched and began building a plan--one that would allow her to reach a good place, physically, in a safe way. Although she did undertake weight loss again, Erin knows that the practical approach she took to get where she is--and her mental outlook--are completely different. Erin’s story would be inspirational enough, on its own, but her attitude about the years spent chasing an elusive image and punishing herself is that none of it was wasted--the lesson was valuable, and has given her the means to the life she enjoys today. The “No Regrets” mindset can be a powerful tool in the battle against negative self-talk; eating disorders often arise from destructive mindsets* and Erin believes that her breakthrough realization that inner strength is the most worthy goal is one that could benefit others going through a similar darkness. Erin encourages those looking at others for their image goals to give it up, and look inward, instead. For those starting out, or trying to get out of the comparison game in their own lives--whether it’s looks or other results--Erin encourages perseverance...and patience. Erin’s message about the transformative power of fitness also includes an acknowledgement that some physical gains are part of the goal--but they shouldn’t come at the expense of your health, whether it’s mental or physical. It also shouldn’t overshadow the power of your individuality. *If you or someone you care about is struggling with an eating disorder, seek help from a medical professional. Consult a doctor before beginning any regimen no matter what your physical and mental state, but especially if you have battled eating disorders. Visit nationaleatingdisorders.org to find help near you.